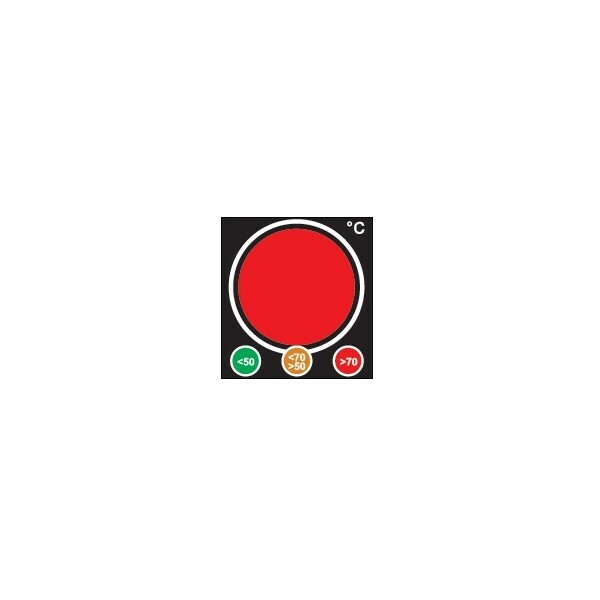 The Traffic Light Safety Indicator from TMC Hallcrest is used for immediate, clear indication of a surface temperature. 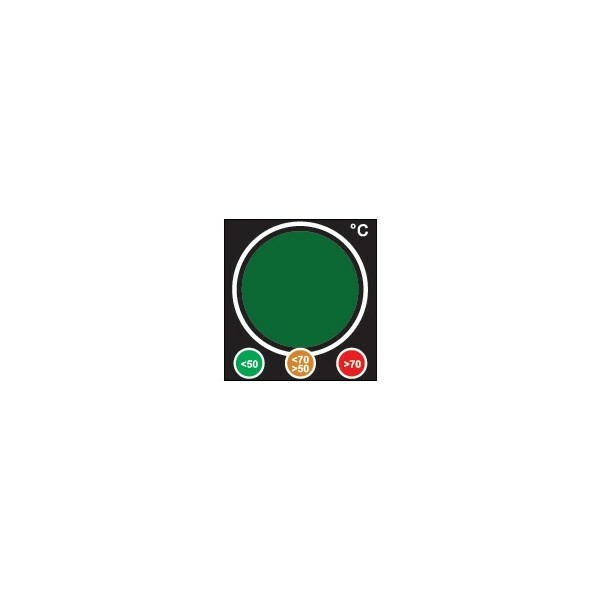 Easily identify any hot surfaces, even form a distance thanks to the large, bright colour indications. 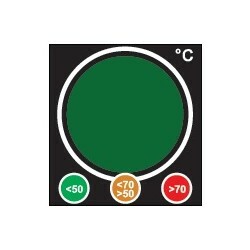 Using the familiar "traffic light" sequence; when a surface temperature is less than 50°C the indicator displays Green. 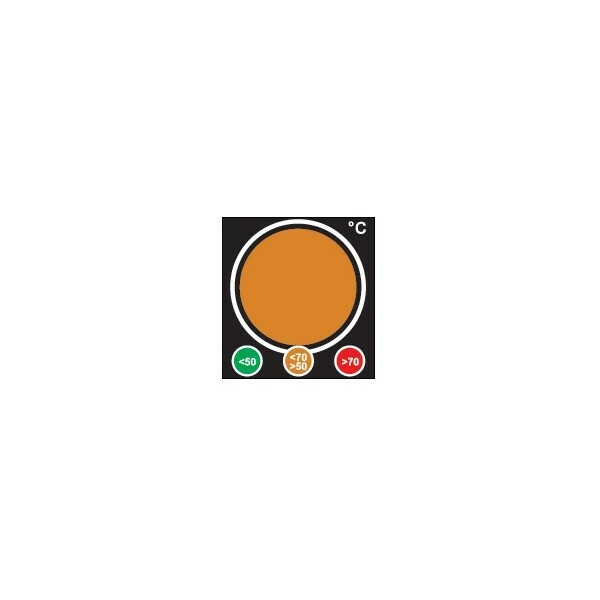 Between 50°C and 70°C Amber is displayed; and for 70°C and above the indicator is red. They are a liquid crystal thermometer which means the have an instantaneous reaction time and they are reversible - so can be left in place and used over and again. Suitable for use on all metal and plastic surface up to maximum 120°C. Simply peel the backing and stick to any clean, dry and oil free surface to indicate if it is safe to touch or not. Perfect for implementing into your workplace Occupation Health and Safety programme to protect operators.